HomeAll classesFoodDecoratingMake Sugar Flowers. 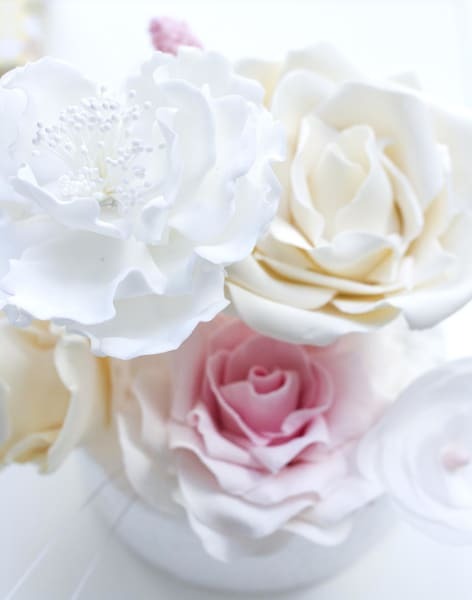 Learn how to make peonies and roses to give your cake that wow factor. Make Sugar Flowers. 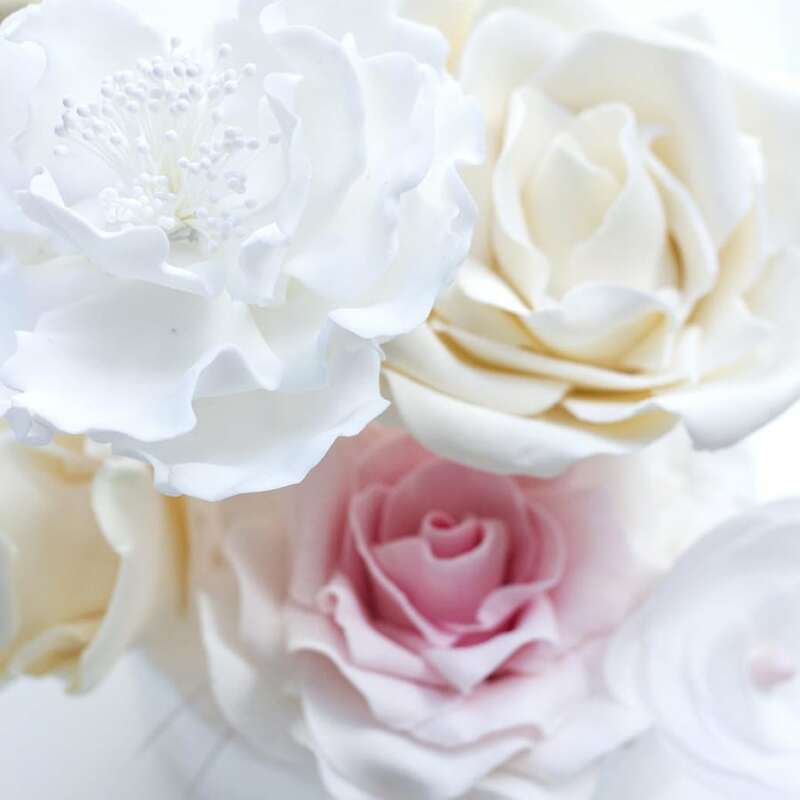 Learn how to make peonies and roses to give your cake that wow factor. Sugar flower class. I will teach you a variety of skills on creating the perfect peony using wires, and modern and traditional roses. Join me on a Sugar flower journey, where I will teach you a variety of skills including how to create a beautiful wire frame peony. We will also uncover the secrets of veining and develop your colouring skills to create the most perfect English rose. Explore the techniques used to create a stunning, yet modern ivory rose and learn how to create your own flower fillers. So why not treat yourself, or present a wonderful Christmas gift to a loved one with Friddle’s Cakes vouchers, which are on sale now. The course will be held at Space at 61. I want to be able to offer more people the chance to be creative in a great space. Spaces are limited so please do book ahead. This is a great class where I can concentrate on offering you the most of my time and expertise and where you will feel comfortable in asking all things cake related. I want to equip you with the skills, techniques and confidence which will help you on your journey into the wonderful world of cake decorating. The class is great for beginners or for those who want to expand on there cake decorating skills. Class is on Saturday 24th February 2018, from 10am - 5.pm £140. There are more classes on my FB page on baking, so do get in touch. Get great tips on anything cake related and meet new people who share your passion. Emete has always had a passion for creative and started life as a graphic designer. She has worked at some of the industries leading advertising and marketing agencies. Baking and decorating cakes started as a hobby for Emete, and has taken her on a journey of growth and discovery. What started as a hobby has developed into an insatiable passion for cakes. It has enabled her to combine her creativity with her hobby, and she is now a full-time baker. Since becoming a professional baker in 2014, Emete has learned many skills and techniques, and by combining her creative talents with her passion for baking, she has developed a unique style all of her own. She is well respected by peers and customers alike and is well known for her candour, creativity and attention to detail. 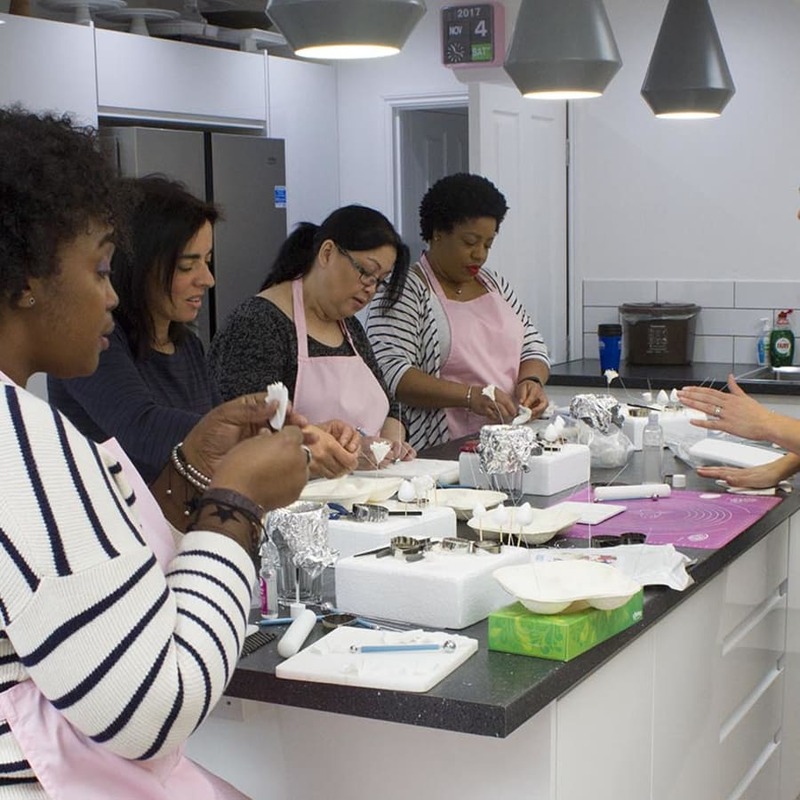 She felt the need to share her knowledge and her passion with others, this led to hosting a number of classes which range from basic cake decorating to complicated sugar flower creation. 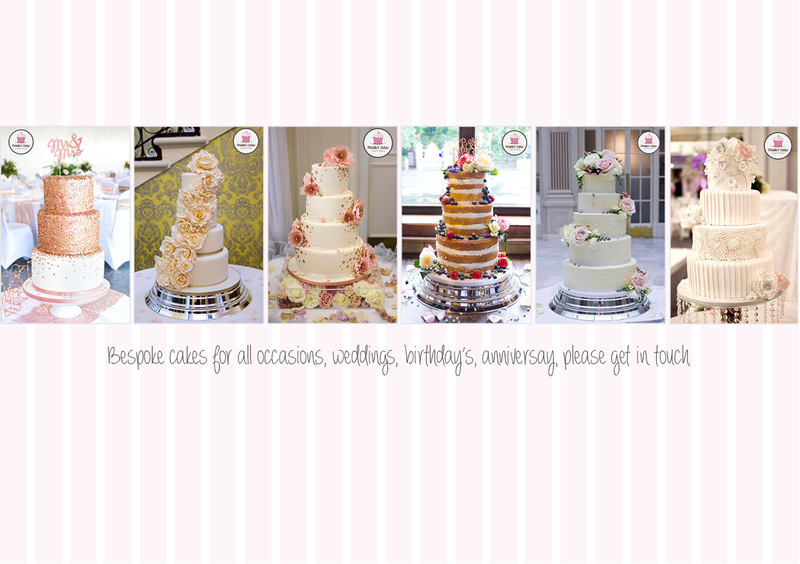 She is in the process of developing a wedding cake masterclass, in which you will learn to bake and decorate the perfect wedding cake. She is an accomplished baker, who is approachable, helpful, honest and above all professional. She will go the extra mile to give you exactly what you want, but will also offer advice if she feels it is necessary. No occasion is too small, and no idea is too big, she looks forward hearing from you, but above all she looks forward to being part of your next cake adventure! Everything in the class is provided for you and should you wish to purchase a few things from the class you can do this on the day.